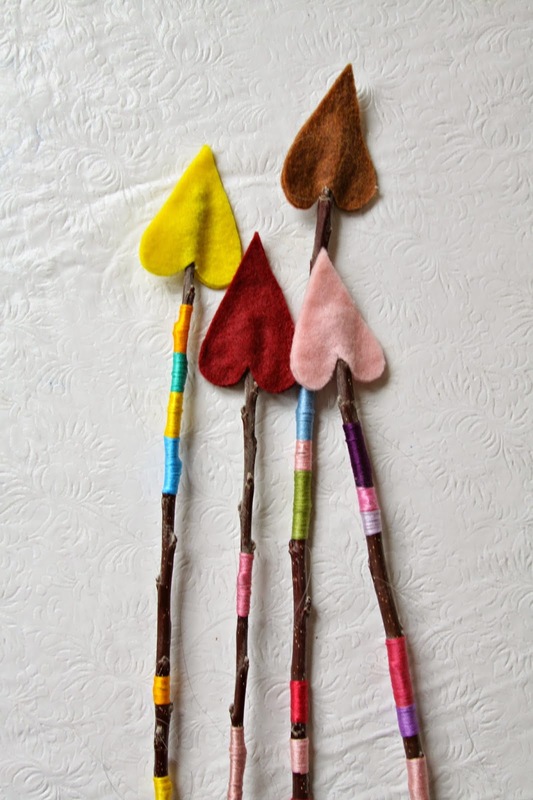 So far, that pile of pruned apple tree branches in my parent's backyard has provided arms for our winter snowmen on that one day it snowed during Christmas break, & NOW for these Cupid Arrows. I recently made these with my 4th grade STAR Club crew. 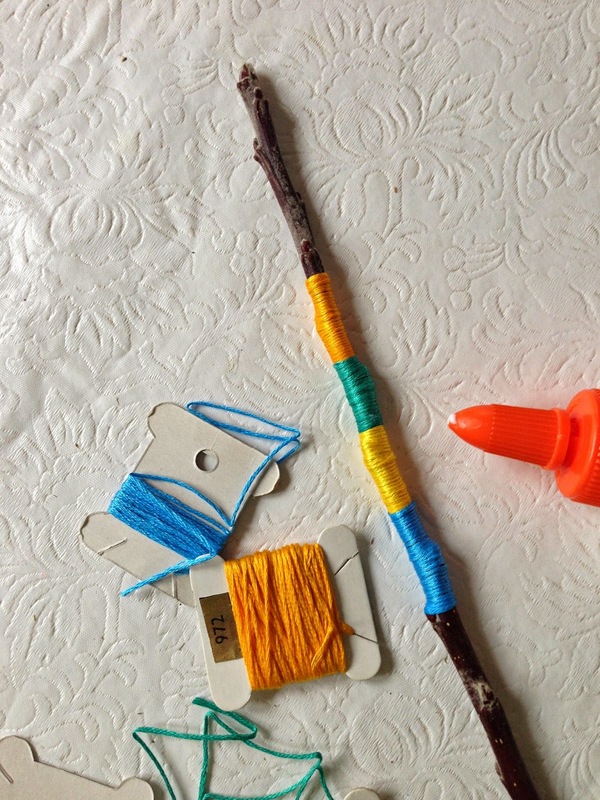 The kids went ga-ga over this project! 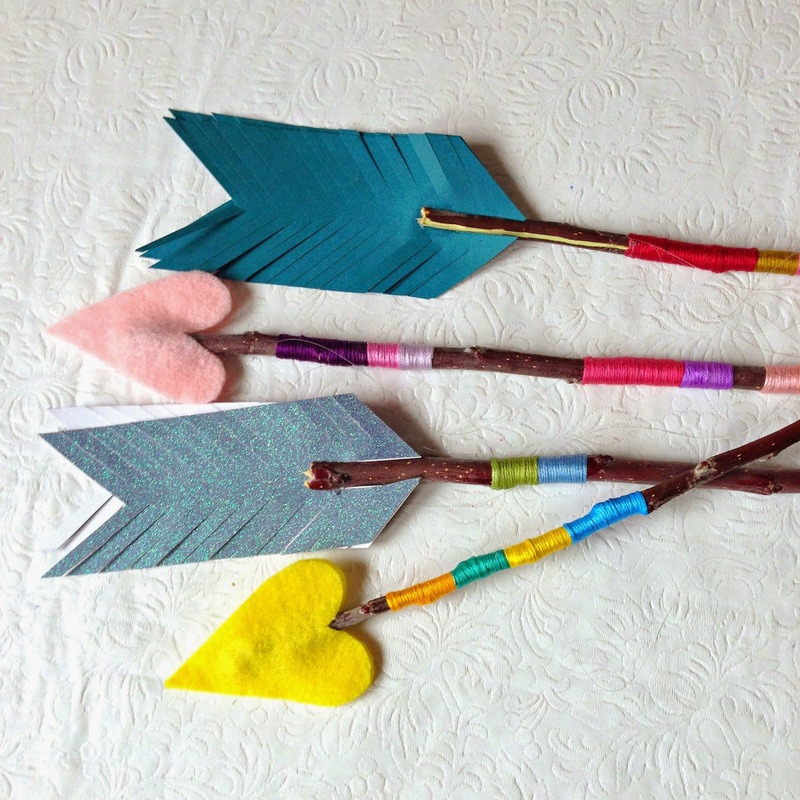 My favorite thing about the arrows is the mix of the natural branch with the brightly colored embroidery floss.How about making up a bunch of these to give as school classroom Valentines instead of candy? 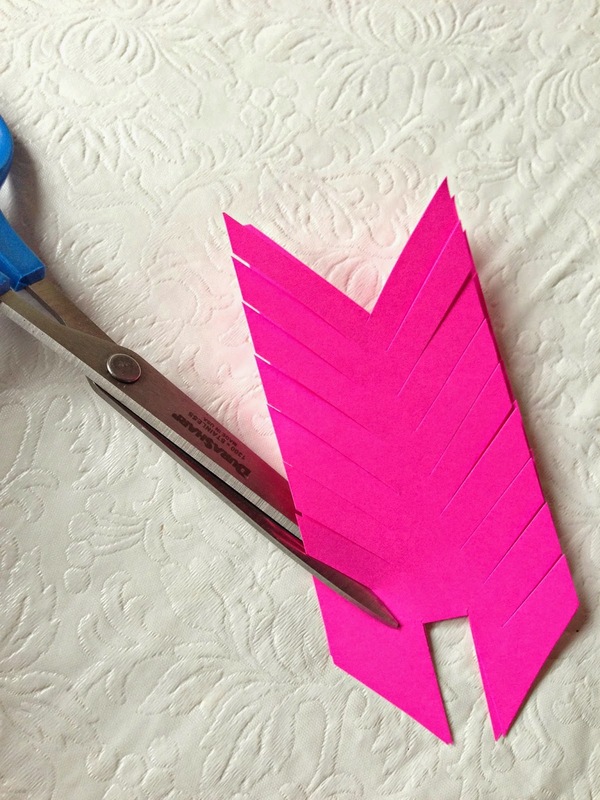 Cut a branch to your desired length. 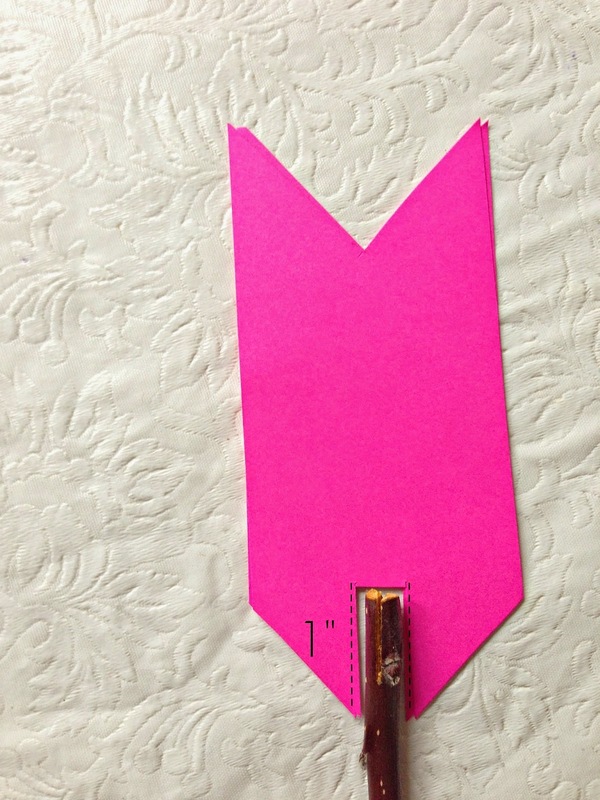 Then, cut a slit in one end (the larger end) as shown in the picture, approximately 1/2" down. Start wrapping the embroidery floss. 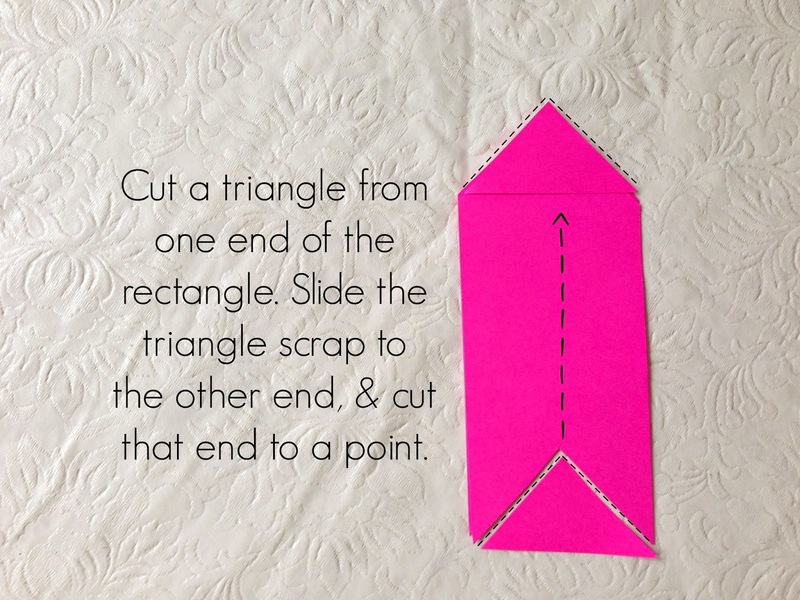 To begin, wrap the end onto itself to secure. 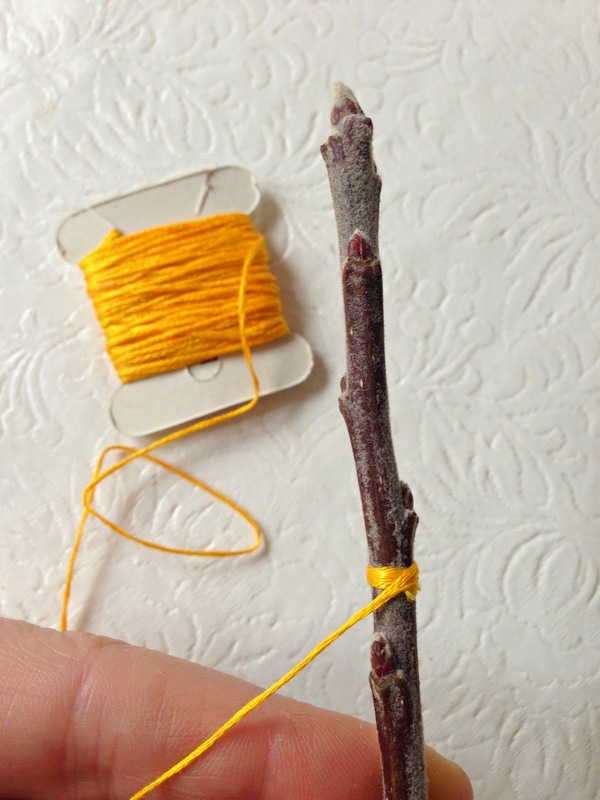 Hold the floss taut in one hand, while spinning the branch in the other hand. 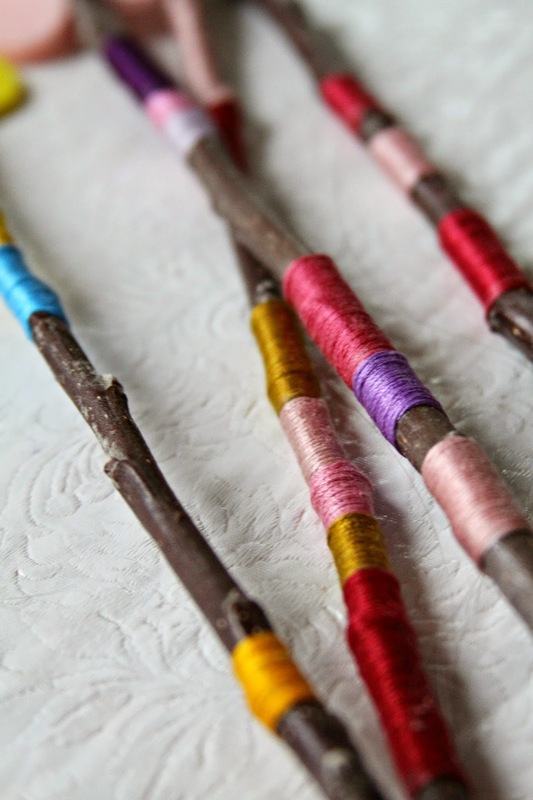 Wrap as many colors as you want & vary the length of each color. I like to scatter my colors about, leaving some of the branch showing through. 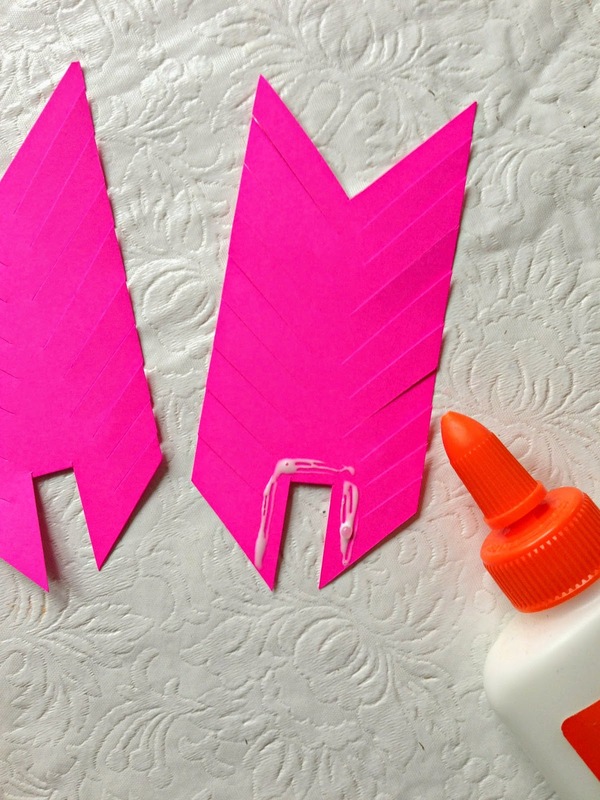 For smaller tots making this project, try painting on stripes of color instead. 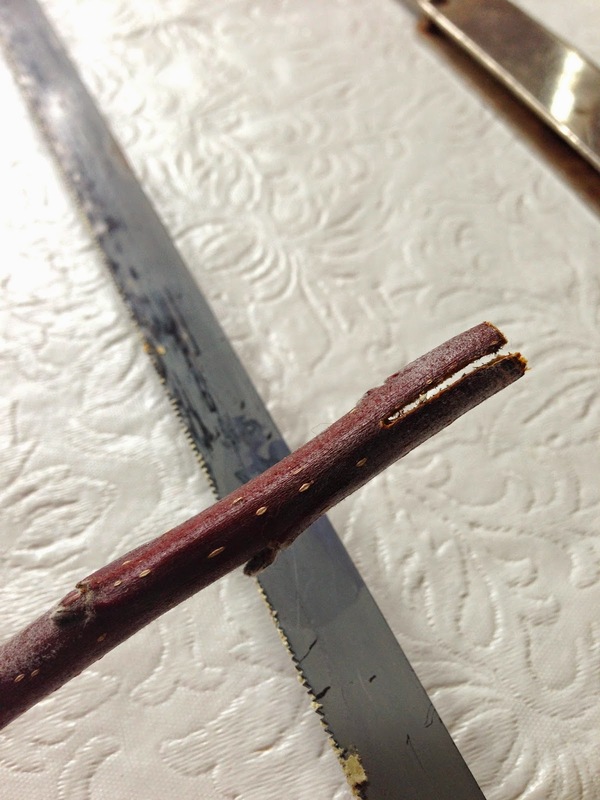 Holding the two pieces together, cut a slot on the pointed end, wide enough for your branch to fit in, to about 1" high. Now cut slanted slits along each side of both feathers. 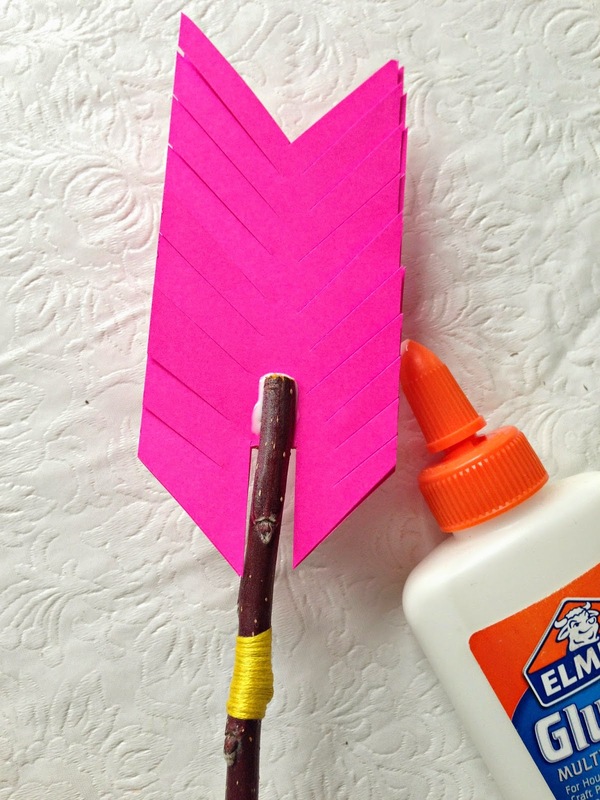 Glue the two feathers together as shown in the photo. 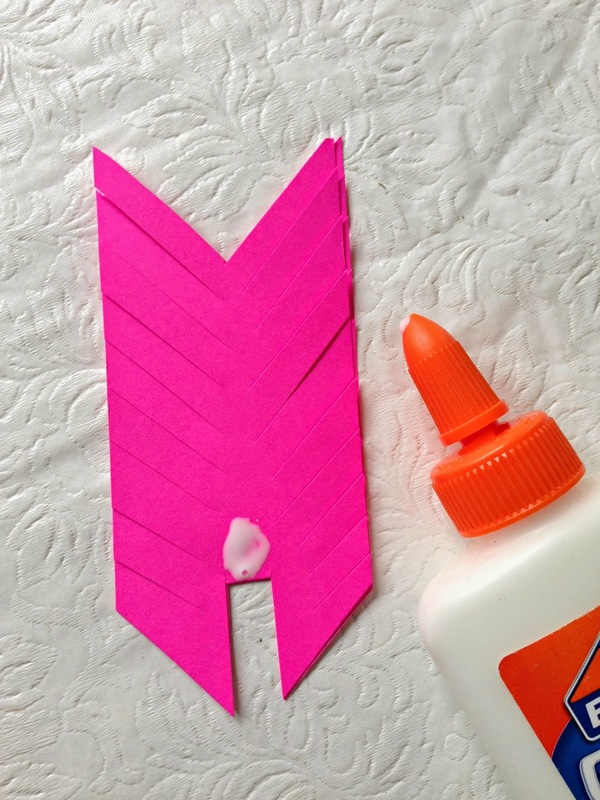 Dab some more glue on both sides, right above the slot you cut. 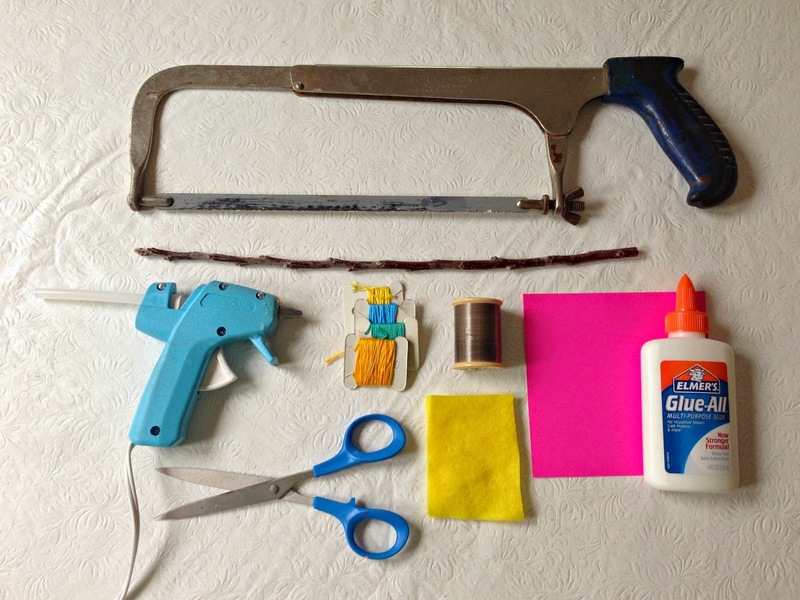 Shimmy that feather into the slit you made with the handsaw. 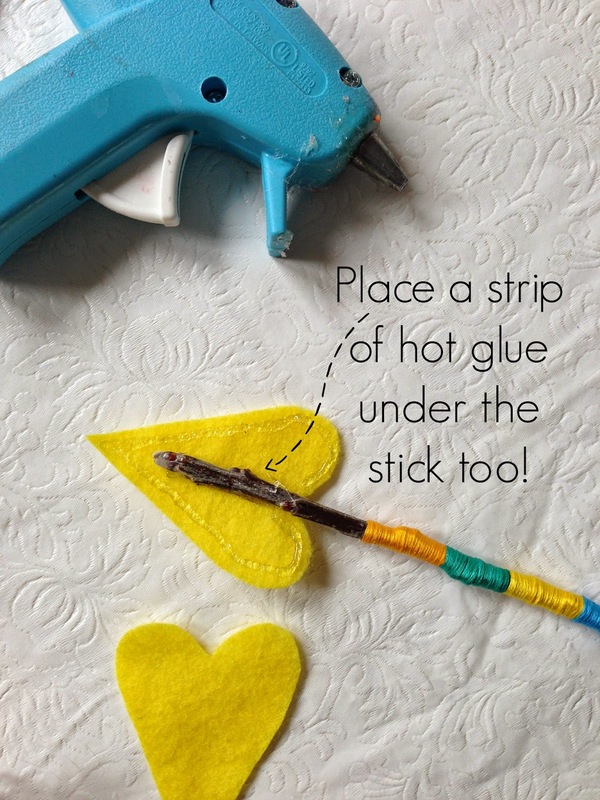 Cut two hearts out of a small piece of felt. 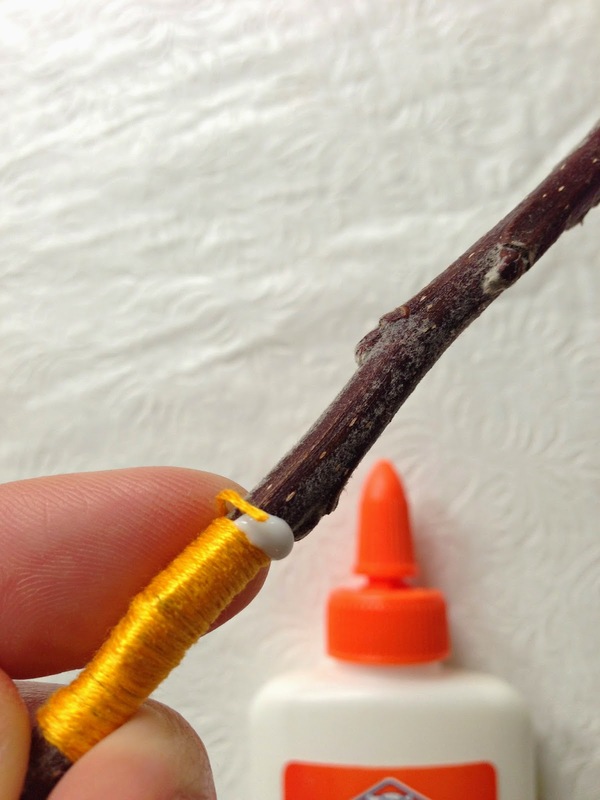 Hot glue them to the other end of your branch. 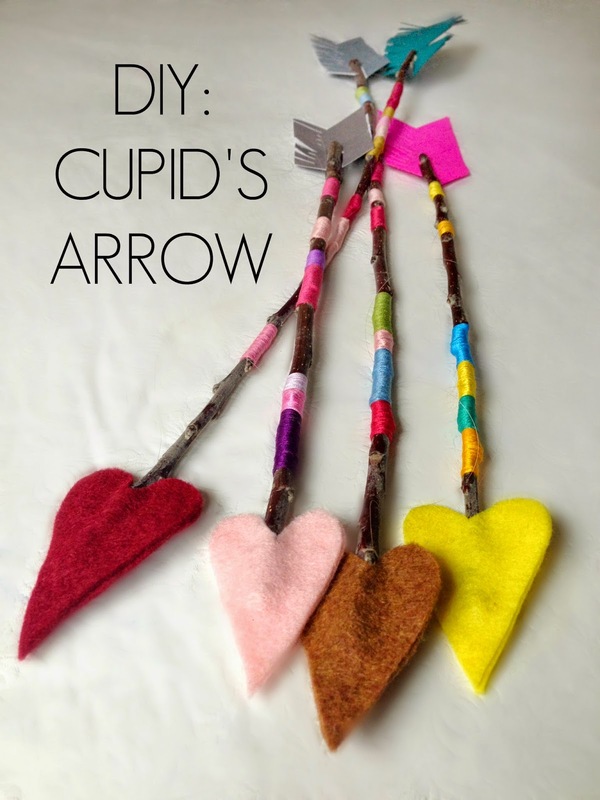 Optional: Tie "invisible" thread to each end of your Cupid's Arrow for hanging. 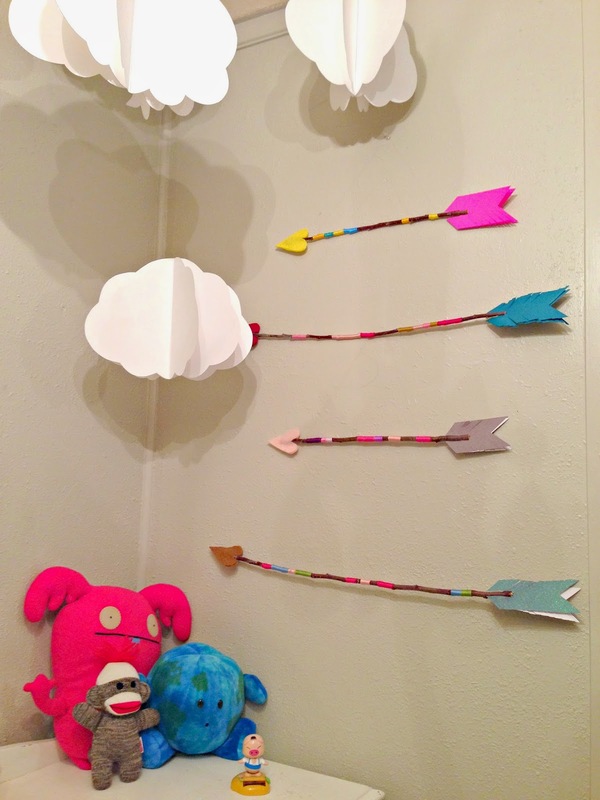 Love this cute craft idea Nikki! 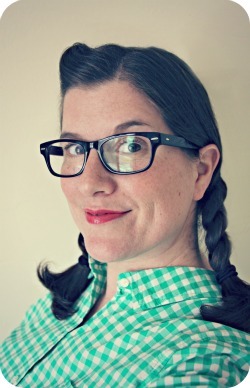 Have been hanging out for your latest post, lots of smiles in our house.